Having only just been completely indulged the night before at Tomahawks, we awoke fully refreshed from our restful Westwood Lodge boudoirs, strolled into town and had the absolute pleasure of meeting Monique, the owner of riverside local café, Ginger Baker, who spoiled us all over again with a fabulous breakfast and one of the best chai latte’s I have ever had! What a lady, what a space and what a location! Ginger Baker are experts at hospitality which is evident every time someone walks in the door. Strangers and friends are greeted alike, and everyone is made to feel special and welcome. 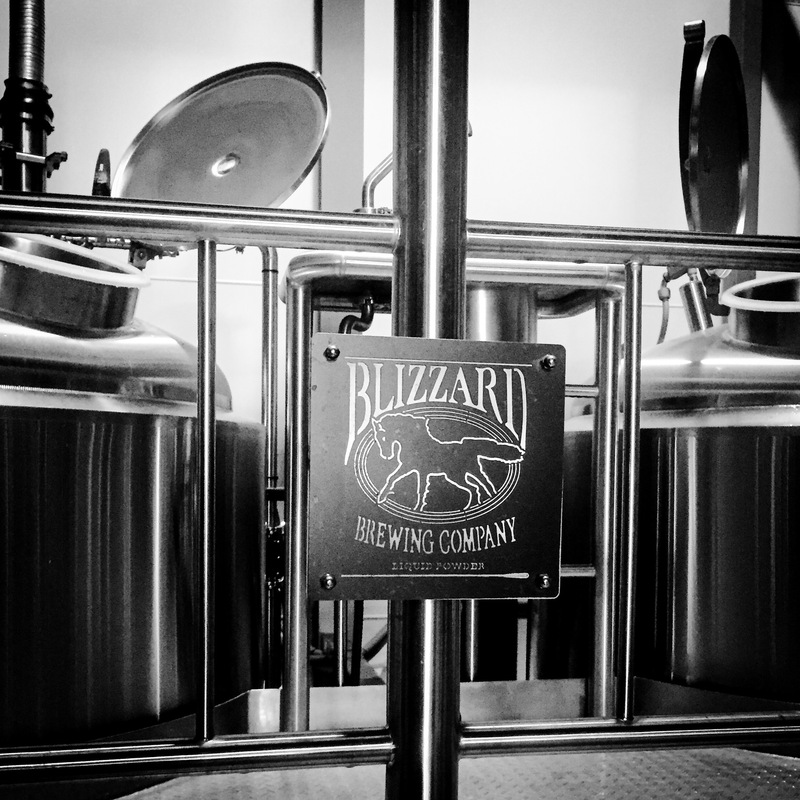 The mountains were calling as was the highest brewery in Australia, Blizzard Brewing Company, located in Dinner Plains at the top of Mount Hotham. We headed to Harrietville to pick up the compulsory chains from Hoys praying to the weather gods that it didn’t snow and we wouldn’t have to battle with fitting them onto the car, though if that was the case, we would have definitely utilised the chain-fitting service offered by Hoys on the mountain! 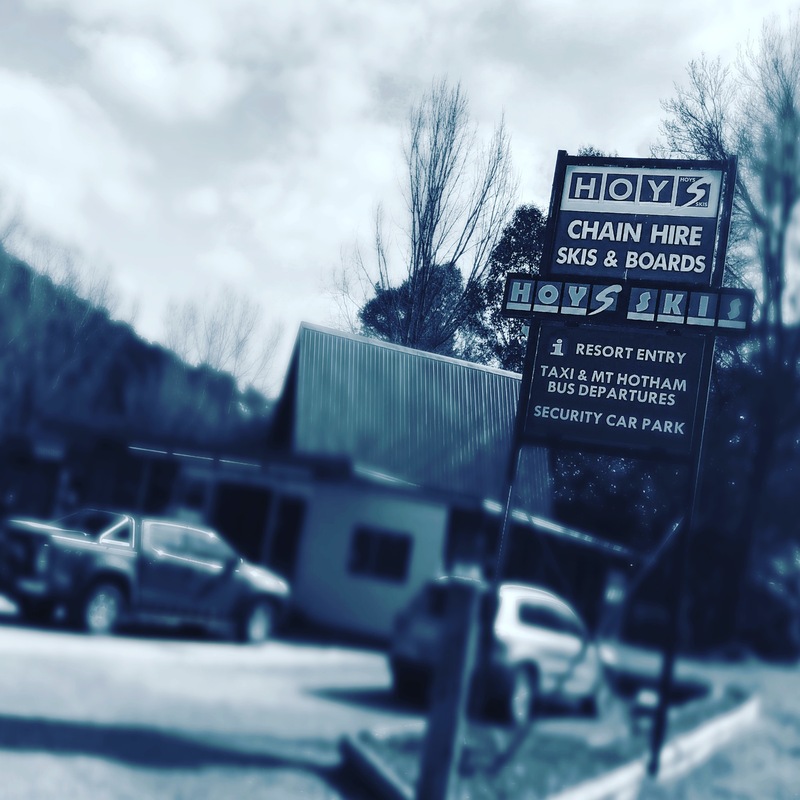 After a windy but glorious drive up the mountain, we cruised through the Mount Hotham resort… I have to admit, I was longingly looking at the perfect ski day and empty chairlifts but beer was a-calling! 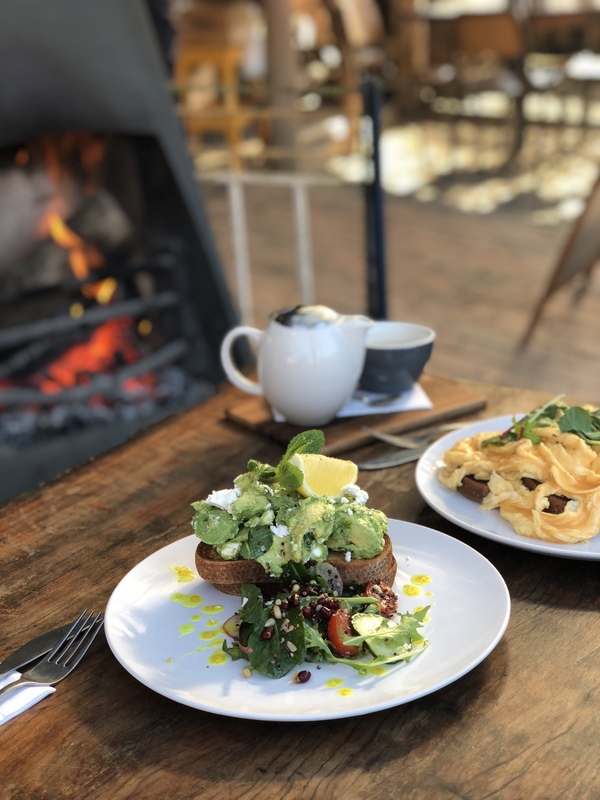 We drove into Dinner Plain, a ski village located only 10 minutes from the resort, adorned with gorgeous alpine-esque houses that seamlessly blend into the natural surrounding landscape. We were actually thinking how lovely it would be to come back in summer and hike the trails. 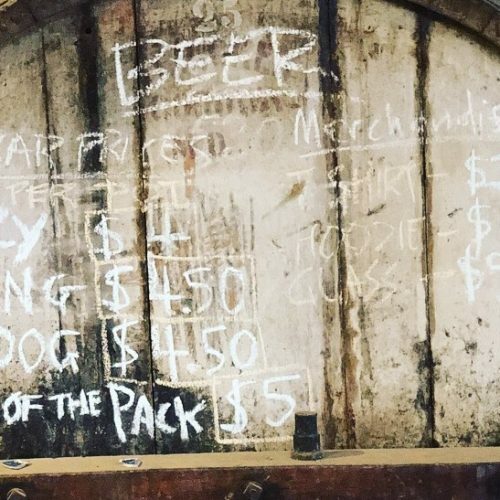 We soon located Blizzard Brewing Company where we were greeted by the Mark, the exuberant owner, his partner Caroline and the gorgeously enthusiastic brewery dogs. Mark hails from the Rocky Mountains of Colorado, so it’s no surprise that he and his partner have built their brewery on the top of a mountain! That and the fact that, according to Mark, there is nothing better than brewing with clean mountain snow-melt. The brewery décor is bright and inviting, and is lined with a friend’s colour-popping artwork. This is definitely where you want to go for your après-ski session or your rest day when your legs need a day off the slopes! 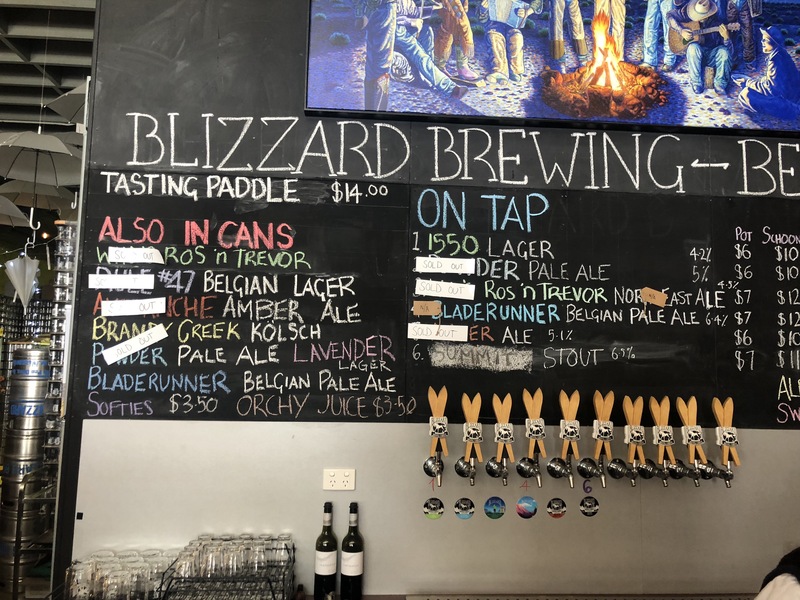 We enjoyed a fantastic tasting paddle of a selection of Blizzard’s beers including their pretty delish Summit Stout and their tasty Lavendar Lager all of which are available in takeaway cans or growlers if you’re really thirsty. 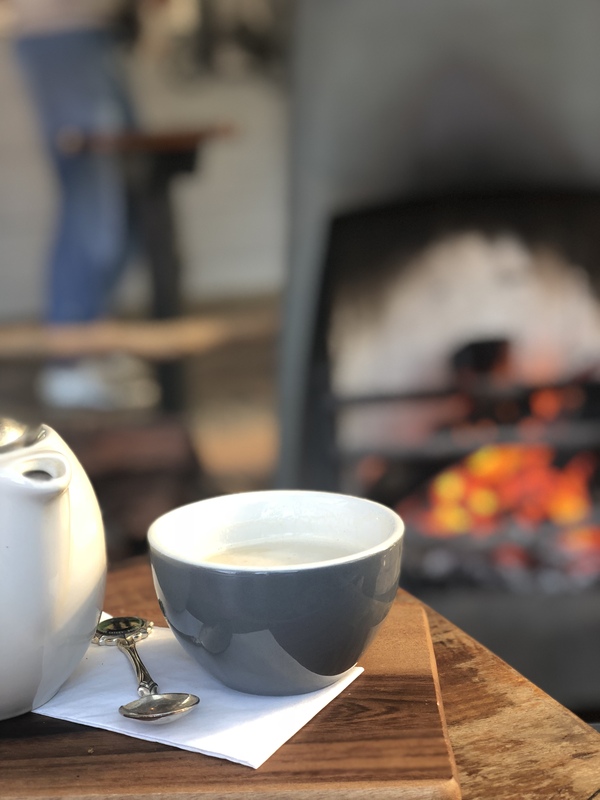 Our stomachs were rumbling and just a short stroll back into the centre of the village was Mountain Kitchen owned, run and cooked by Ally McEwan. 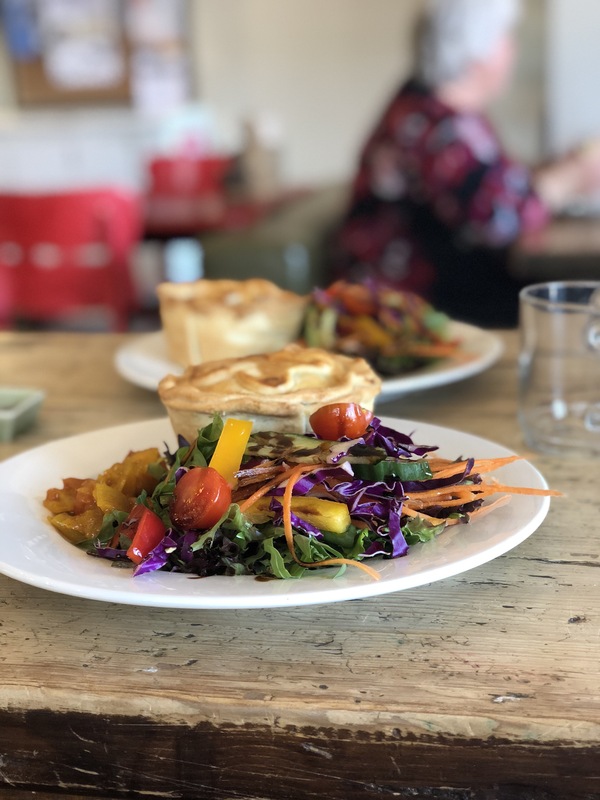 Her rustic homemade pies (served on a plate piled up with a fresh, colourful salad) are absolutely to die for and have the perfect balance of hand rolled pastry and spicy, flavoursome fillings. The icing on the cake was Ally’s great grandmother’s chutney that is compulsory with your pie, made using the same recipe first created in 1927!! Mountain Kitchen seemed to be a definite favourite for the locals and handful of tourists left who were catching the last few days of the season, with ski gear adorned folk creating a steady stream of people who were doing their best at depleting the stock of pies and sausage rolls that had been cooked up in the morning. 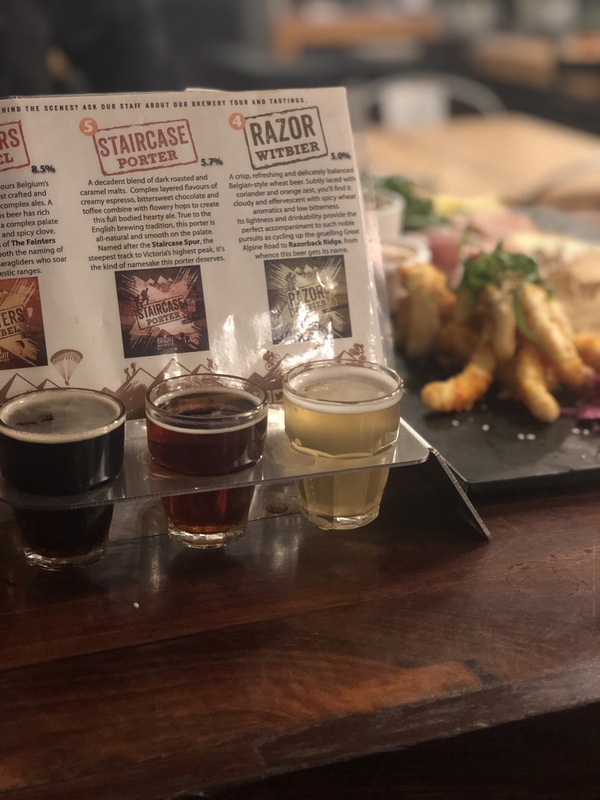 After a big drive up the mountain, a beer tasting, a pie… there is nothing like a luxurious spa treatment and that’s what was in store for us next!! Honestly, what Dinner Plains doesn’t have on offer, you don’t need in your life! 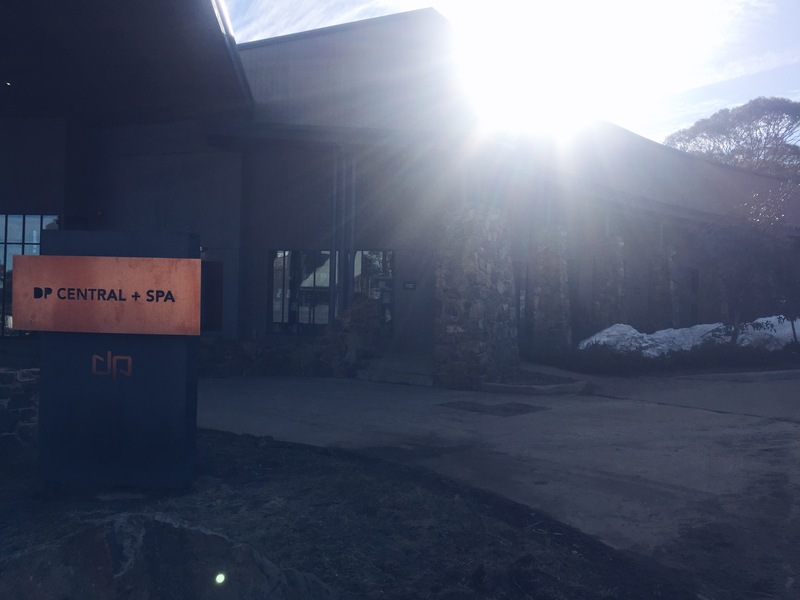 Onsen Spa and Retreat is sublime and the absolute best way to work away the tensions of a few days of skiing. 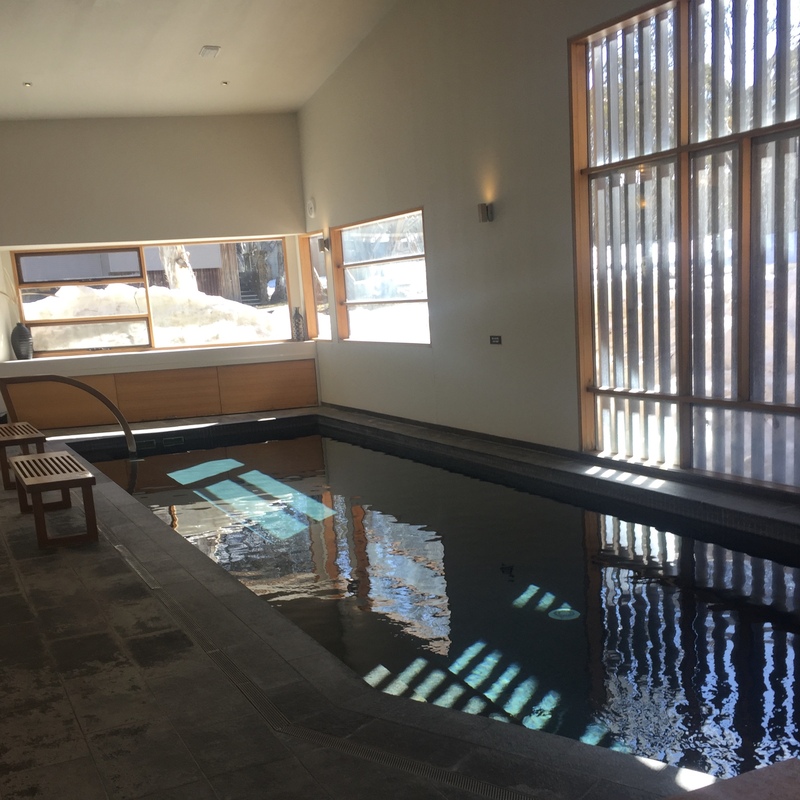 Along with incredible massage treatments, Onsen’s also have Japanese-inspired heated indoor and outdoor pools which on a mid-winter’s day are both a glorious relief and such a wonderful way to relax and unwind. Alas, it was time to wind back down the mountain and boy were we feeling exhilarated and refreshed all at the same time! 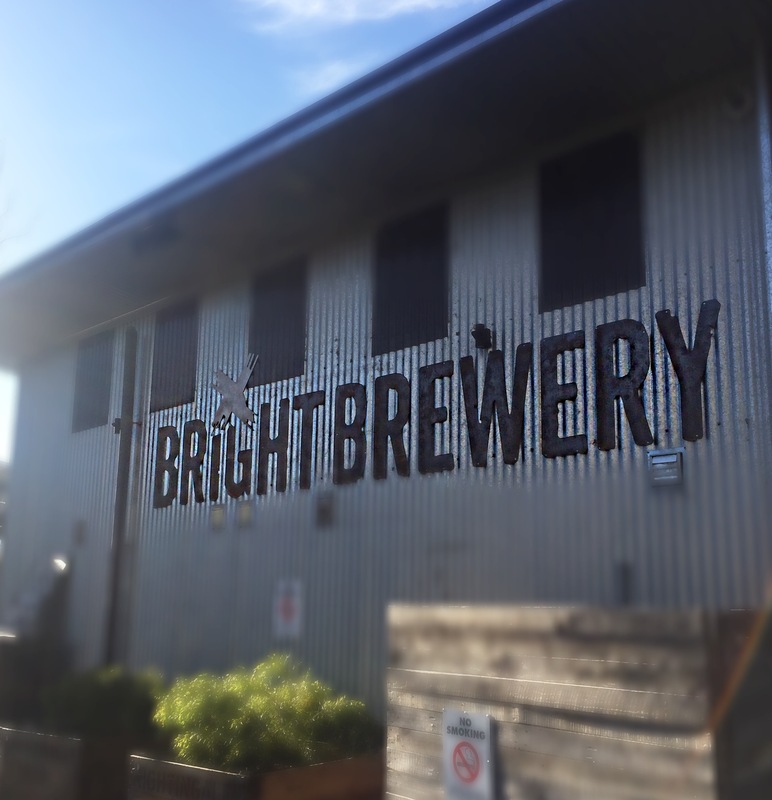 Our second night in Bright and this time to visit old friends and fellow beer-lovers at Bright Brewery which sits right in the middle of town and on the banks of the Ovens River. Founder Scott Brandon couldn’t have chosen a more idyllic or brilliant location given summer sees the town’s population swell from just over 2,000 to around 30,000 and most of them hang in the river, right in front of the brewery! 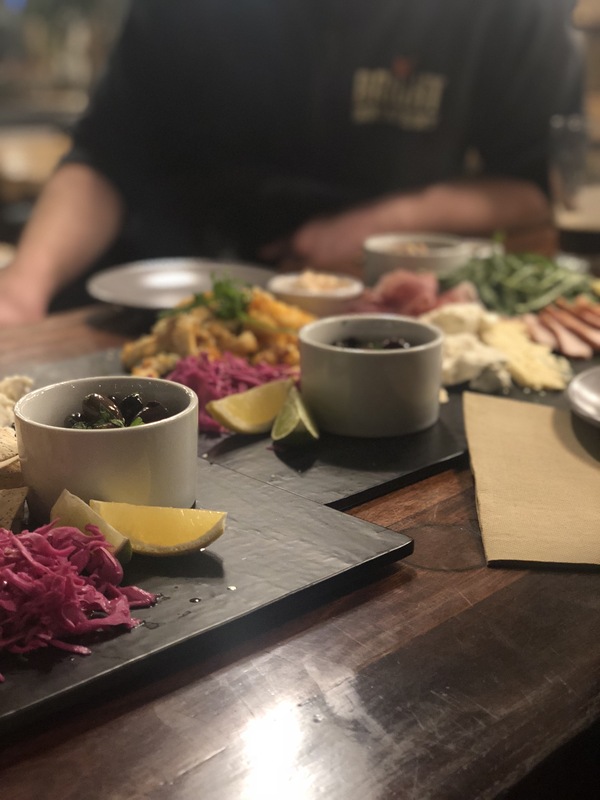 Bright Brewery is the perfect one-stop shop, with a fantastic food menu (we feasted on their new charcuterie plate which would feed a whole lot of you! 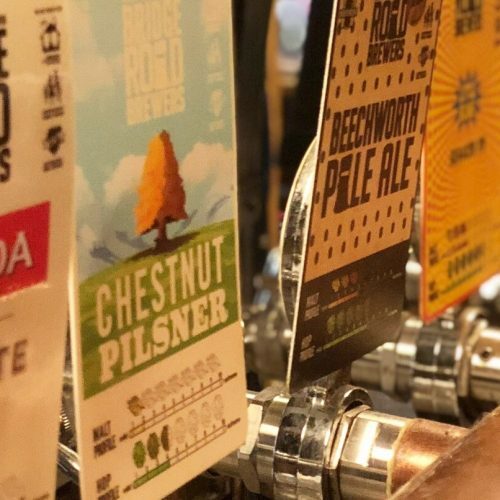 ), built to complement their 24 rotating beer taps, both of which are often accompanied by live music on their outside deck, overlooking the river. 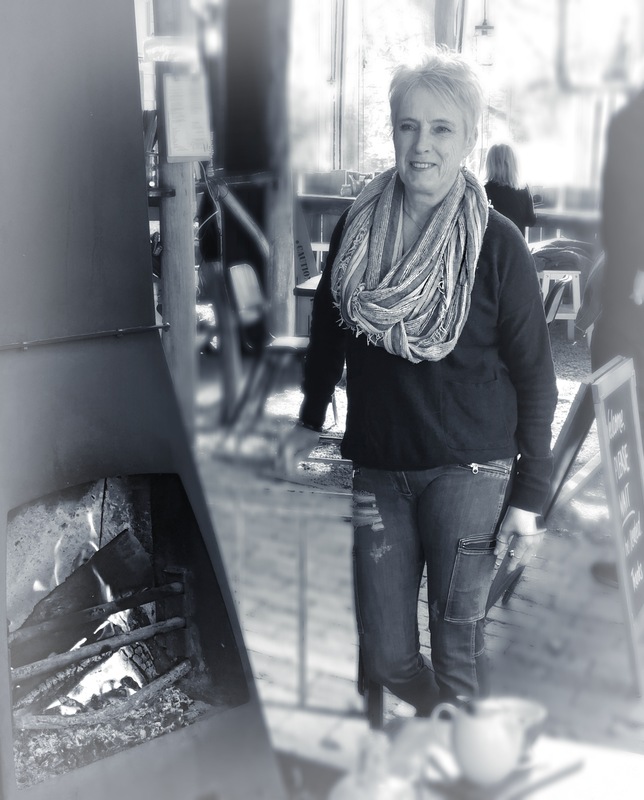 The brewery has also swelled in capacity, so much so that they have opened a larger production facility nearby, which they have named Fred’s Shed, a beautiful tribute to Scott’s late wife.